What a whirlwind of a day, but it was intentionally perfect. 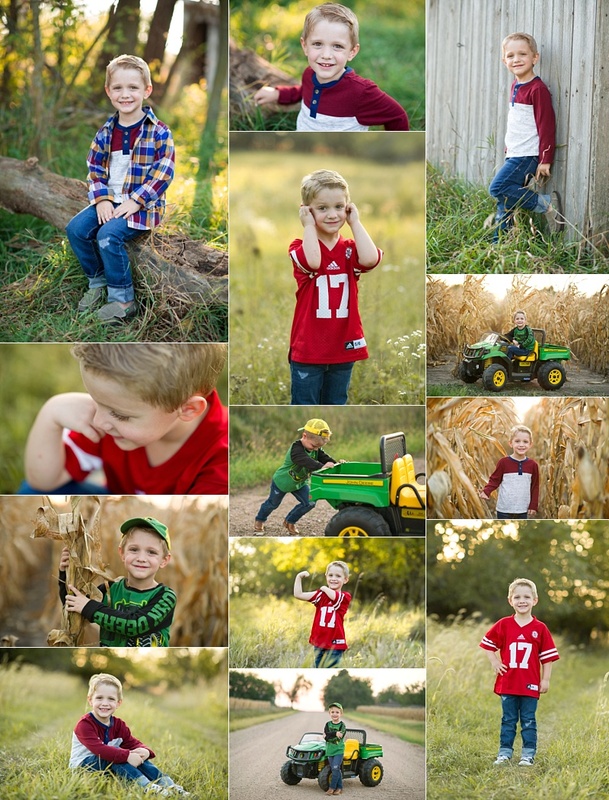 We invited twelve family’s out to the farm near Wilber, Nebraska for our annual fall family mini sessions and it everything went smooth with less than three tiny humans in tears. We quickly turned those tears into smiles with candy surprises at the end so no worries about casualties. ;) I was so worried we wouldn’t have nice weather since the week before we had snow falling but the day was amazing with sunshine, a slight breeze and 60 degree temps. With just the right amount of rich fall colored leaves but still touches of green in the grass. The thing I love most about my fall family mini’s is getting to see and catch up with a lot of clients once a year. Every single year it’s crazy how much their kiddos have grown but I love establishing a friendship and building trust with the littles. This year, we had families from Milford, Crete, Hallam, Wilber, Clatonia, and even Beatrice area! It’s incredible to see how much of a distance everyone is willing to come to meet me! It’s such an honor that parents invite me back into their lives and getting family pictures is something I always encourage everyone to do. Sometimes life gets cut short, and you struggle with the thought of not having a family picture to reminiscence over, let’s take those thoughts away and schedule some family memories of your own!! The first thing we did for her senior session is put on our muck boots and ventured into the woods to go visit my hidden gem of a little natural spring and take some pretty pictures down there. She was a beautiful floral dress that fit the outdoor location perfectly! The dress was flowly and the colors were stunning with all of the fall leaves that were falling down around us. It was seriously magical, something I always love to stop and just enjoy the moment of when I’m taking photos of seniors during the busy fall season. Thank you again Branson crew for visiting our farm near Dorchester, Nebraska. It’s been a joy working with you and I love the album you choose to order. I think it will look fantastic! I’m sending you the best of wishes in college and cannot wait to see how your future unfolds! Every once in awhile, I like to share a behind the scenes look at the editing process so clients can see truly how much magic goes into the edit of your images. It’s not a drag and drop quick change and sometimes I can put hours into editing a session. I just hope others enjoy the images as much as I do capturing them and processing to create the magic I first see when I’m taking them! So. To break down a little more what I all did while editing this picture (cause hey, I know some photographers are on here and want to learn too!). I first always cull my images in Adobe Bridge software. I star rate my top favs and what I plan to edit. Then as I edit, I change the star rating so I can see progress and know what I have left. After sorting, I pull into Adobe Camera Raw (ACR) and start working in there. Lighting, I adjusted the exposure, upped the contrast slightly, pulled the highlights down a little, lighted up the shadows, bumped the clarity a tad bit. I also did a slight bit of sharpening (I typically sharpen in Photoshop instead of in ACR). That’s the basics of my edit. From there I pull into Photoshop and will run a few actions as needed depending on what I want the final outcome to look like. There it is. There’s my workflow on an image! Sometimes I will batch edit the ACR files because I shoot with the same settings and then will tweak individual’s as needed but I try to keep my workflow consist and quick paced. These are the basic editing that happens to all files clients see. Since I do IPS (in person sales) with my clients, I do 90% editing before they view images and then smooth skin, remove minor blemishes and liquify as needed once we choose which images you want to purchase. That saves me the extra time working on details that aren’t necessary. I hope this is helpful. And, as always, if you have questions drop them in the comments or email me! I have been tossing around the idea of a few business geared mentoring or workshops and would love to know if people would be interested in that. I feel there are so many fantastic other photographers out there that can offer posing or editing but I don’t see a ton of things about running your business so this is something that’s really important to me. I was over the moon excited when I got a call from the Wittenhagen family letting me know that Chase wanted to book his senior session with me. But once the excitement wore off, I realized it was such a bittersweet feeling for me to see the final kiddo graduating high school. I’ve know the Wittenhagen crew for going on almost five years now and they’ve been there the first few years I was growing and learning as a business. I remember when Chase’s brother Layne was a senior and their first visit out to the farm we chatted about his future plans. Then, a short year later, his sister, Haeley came out. We also chatted about future plans, and even included siblings and grandma in some photos as well that year. Then, a year passed, I kept track of the family through social media, and I missed seeing them. Hearing updates and thrills on new kiddos accomplishments. It’s been such a fun time working with them. I think what I love most about photographing high school seniors is getting to talk with them. Learn about their future plans and goals. Talk about all of their accomplishments throughout school and what they’re doing to make the most of time during their senior year. Laugh about the funny memories with friends or even jokes they’ve played. I love getting to compare each school system and what rules they have. Sometimes I find myself amazed with certain things they can get away with now (cough, phones in class). Chase is attending Pius X High School located in Lincoln, Nebraska and is part of the Class of 2019. I love that he isn’t afraid to be spontaneous and go trekking to go find new locations that are unique for his session out on the farm. We tried our best to go to different spots than his siblings so everything would be new. While talking to Chase, I learned he plans on going on after school to join the Navy. And I am so proud of him for that. It has been an absolute pleasure getting to know Chase and his family and I wish him nothing but the best in life after high school. Thank you so much for choosing me to be your senior photographer! I hope your family enjoys the pictures as much as I do! Thanks again! When Tara Schroeder contacted me planning out her senior session I knew we would create something magical. Little did I know, she’d invite me down to Fairbury, Nebaska and we’d have so much fun and she’d show me so many unique and beautiful locations! From totally urban buildings, to pretty brick alleys and even the Fairbury High School football stadium. All of it was so pretty and a fantastic change up for me so I wasn’t shooting my same old farm looks. Tara is a senior at Fairbury High School and is active in softball and cheerleading. When I asked her what she does for fun she said her and her friends enjoy hanging out down at the river, going shopping and spending time around bonfires. I love that she enjoys the country life and also likes horses so that’s always an easy way for me to connect with my seniors. I found it hilarious when I asked what is one thing that people might not know about you and she said she doesn’t like cats. Girlfriend, so much me too (allergies can do that to ya)! Thanks again for trusting me to capture your most precious high school memories of your senior year. I cannot wait to meet the rest of your family here shortly for your family session! If you're interested in booking a senior session check out the HIGH SCHOOL SENIOR INFORMATION page! I absolutely LOVE when my seniors tell me they’ve got some ideas planned for their session. Noah did just that. He asked us to meet at his grandparents farm east of Wilber near Clatonia, Nebraska. And let me tell you, when I got there, I was in Heaven!! 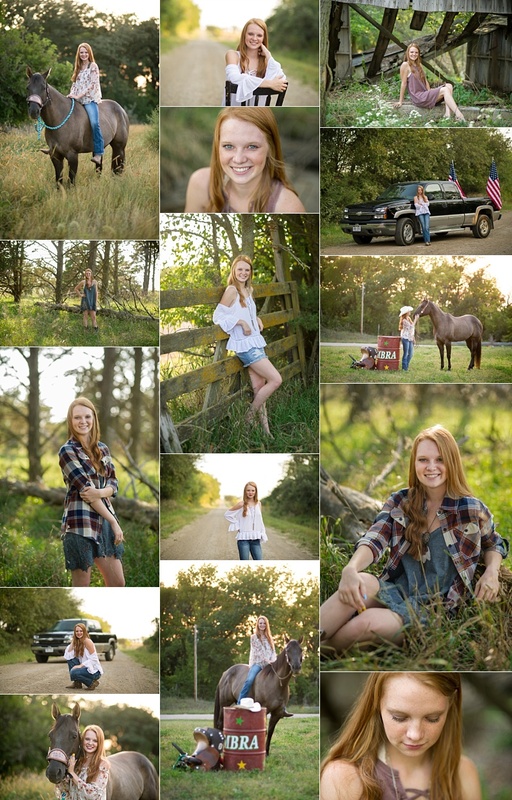 Nothing says welcome to southeast Nebraska quite like a farm session for a high school senior! If you're interested in booking a senior session check out the HIGH SCHOOL SENIOR INFORMATION page! Want to get a discounted session? Contact them to ask about a referral discount! What a fun evening spent on the farm with the Reetz family! I couldn't stop giggling and absolutely loved how much the kiddos truly loved playing and laughing with each other! We ended the session with a dirt road, a dusty sunset and some pretty bean fields. The kids all did so great and I'm so happy to share some more from their session here soon!! I am dying to share the rest of her session, they were all so beautiful and we laughed out of dilerium from the heat. Magically, we survived and Atley is going to have some pretty sweet photos to take back home with her! I've never met boys who are more sweet or well behaved then these! Thanks Jaimes family for visiting me on the farm near Wilber, Nebraska! Your family is so awesome and I'm so happy we found a night that everyone was in great moods and full of smiles. The boys did fantastic and although the allergies weren't ideal, we still survived!! When I started my search for Model Reps I didn't know who I'd find. But I did know that I wanted girls who were inspiring, outgoing and fantastic role models in their communities. I wanted girls with goals who planned on moving mountains in the future. I lucked out when these two applied! These girls are not only stunning, but they're also really smart and driven young ladies who will do great things with their futures! Lizzie I've also known practically forever. She's equally as sweet and is filled with fire just like her mama! She's always making people smile and willing to act funny just to give those around her a laugh. The girls are mega active and works all the time so getting to see these girls was tough but we made it work. This was a quick impromptu shoot with a storm creeping in so we quickly did a mini session and got home before the winds hit but truly, it reminded me why I love my job when I got home to drop the images into my computer, I was in awe of just how amazing they looked and the images we captured. Bre looked beautiful you guys!! And by prompting her to do a few flow posing moves, we brought out her inner beauty as well. Ultimately, the end goal of each session, is to remind clients just how amazing and beautiful they are!! Bre is one of our Class of 2019 senior model reps and we were so excited to welcome her out to the farm near Dorchester, Nebraska to go play and get to know her. This was a quick impromptu shoot with a storm creeping in so we quickly did a mini session and got home before the winds hit but truly, it reminded me why I love my job when I got home to drop the images into my computer, I was in awe of just how amazing she looked and the images we captured. First senior of the summer and I cannot wait to jump in and meet the Class of 2019! Ricky and his family has always been so fun to catch up with and I love visiting their farm near Sprague, Nebraska where they have an amazingly gorgeous log cabin and are surrounded by beautiful trees and tall grass. Just wait until you see the rest of his session! I don't get to do maternity sessions often, but when I do get graced by meeting a soon to be mama, I love taking a second to just soak in how blissful they look. To cherish how peaceful and gorgeous these mom's look. I love talking about their baby plans, the details they've put into the nursery's. All of the amazing new products out there that they have created to make raising a baby easier. It's so amazing how a woman's body can change and birth children into this world. Grayden celebrated his second birthday and invited me to come party with him! He is the cutest little farm boy I've ever met who was so excited to see all the cows (until we walked up to them). Little mister G it's been so fun watching you grow up so far, getting to play in the mud with your combines and trucks. Watching you throw dirt at me and your mommy while the sweetest little giggles were pouring from your mouth. You are one precious little guy and you will grow up to be one hard working farmer just like your daddy! I can't wait to share more! Farm. Horses. Sunsets. Trucks. And American Flags. These are the things that all were included during Maddie's senior session. These are also some of my top fav things about getting to meet and style a senior session specifically tailored to each and every senior I get to meet. Maddie came down from Lincoln Nebraska to visit me and brought lots of ideas and props as well. Her hobbies include anything country, and outdoors along with her favorite thing, everything equine. What I loved learning the most about her, she barrel races! I find it so neat when I learn what unique hobbies my seniors have, and I love keeping track of them after they graduate. I like seeing them succeed in college and check in often to see what they're up to. To me, it's not just about capturing your senior pictures, it's about making a connection and friendship that I get to continuously check in on and cheer my seniors (and their families) on from the sidelines for years to come! Maddie brought her horse out to the farm where we had so much fun playing in the tall grass, avoiding bugs and just talking about all things high school. She told me how she loves to go to Plamor (something I once used to do over ten years ago back when I was in high school) and explained how she loves driving her truck up and down O Street with her American Flags on the back of it. Thank you Maddie and Jenny for coming down to visit, I truly enjoyed getting to know you both and wish you all the best luck after high school! The one thing I absolutely love to do is get to know clients. What I love the most about getting to meet Cooper and his mom, was that they were so. much. fun. They came down from York to visit the farm near Dorchester, Nebraska to play football and check out the corn fields. I am so grateful for my clients who refer their friends so we actually talked about how we both knew Jill and how wonderful she is. Mister Cooper told me all about school, how excited he was to be turning four and then told me all about tractors and green combines. Not going to lie, I have a love for all things farm and agriculture so when I see kiddos show enthusiasm for those things, I of course set my camera down to listen. Sometimes, it actually benefits kiddos if I stop a session and just play for a little bit, it reminds them I'm a "fun" person and I'm there to not just take pictures but also to show them around and let them just be kids and play. My favorite part about doing child sessions is that we can make it whatever we want to fit your kiddos personalities and your budget. You have the option to purchase all digitals or just order a canvas to display. If you're interested in creating unique gifts to give to families, we've got plenty of products for that as well. My personal favorite option, I love encouraging people to order albums to include all the images from their session in a nice little package that they can then show to family and hand down for generations to come! Thank you Cooper for stopping to talk to me all about combines, tractors, trucks and four wheelers. I might not love football as much as you, but I sure do enjoy seeing you giggle and "kick dust" out here on the farm! I never have enough good things to say about this crazy Zoubek crew! My favorite thing about them, they share my families last name! The Zoubek's I've known forever. I've watched the kiddos grow up and I absolutely LOVE watching them grow every year into these amazing, responsible, funny and kind hearted individuals. The kids are always out to make each other laugh (or just annoy each other) and do the most hilarious things! They invited me out to their farm near Western, Nebraska (the town not the side of the state for all those that are confused) and we literally just hung out. The kids ran wild, we went on a nature hike out to their pond, we captured some tickle fights. It was just a joyous evening capturing their family. I am so grateful that I get the opportunity to be invited into families lives. To be trusted to capture personalities that quickly change as the teen years come into play. I love what I do, but more than that, I love the families I get to meet and get to know. I love keeping up with the kids and watch them change and grow. I was so excited when I was asked to capture a gender reveal for Loren and Abbi of Wilber, Nebraska. What a nice surprise to be trusted with a magical little envelope that holds the sweet babies gender! I am so blessed to be able to create these magical memories to share with parents and capture these milestones! Something that always hits close to my heart is when I get senior girls who book a session that are into all things country. I myself was an FFA kiddo who loved farm life and could be girly if needed but felt so "at home" in my cowboy boots and a good pair of jeans. Camryn is the same exact person so we just clicked right away! 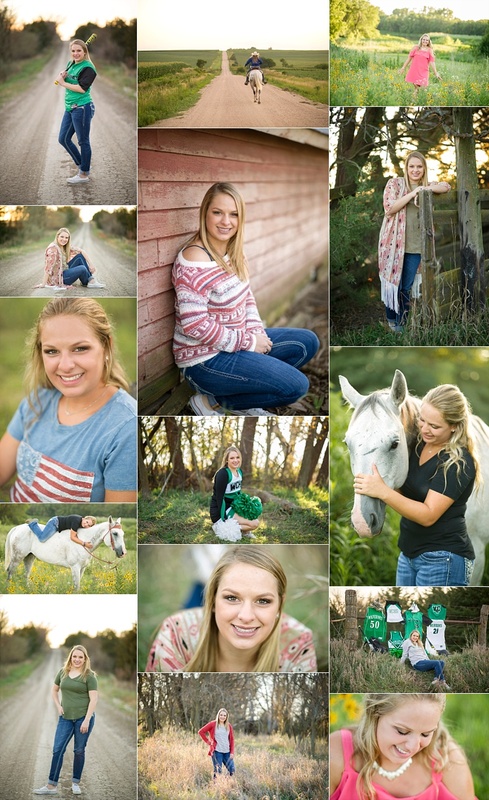 Camryn goes to Wilber-Clatonia High School in Wilber, Nebraska and she's super active with all the school activities. I love that I got to meet some of her favorite animals. It's always unique when we get to get super personal and highlight the senior's talents! She's planning on going to college for pre vet and loves everything ag related.